You deserve a safe ride, a friendly driver, and a clean and reliable vehicle that fits your group and your budget. We’ll make sure you’re in the right vehicle for your group. You’re getting the best price on reliable transportation with our custom solution, tailored just for you. We care about your group, and it shows. We have the highest safety rating in the nation with the Federal Motor Carrier Safety Administration. We work to give every group a personalized experience. We match our friendly drivers with your group for a great fit. More than transportation, we provide an experience. We serve a wide variety of groups: weddings, churches, athletic teams, schools, and business charters. 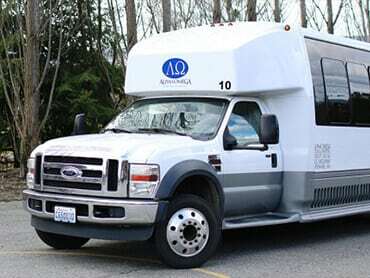 Our 19-vehicle fleet is fully equipped to provide the best possible experience for your group. 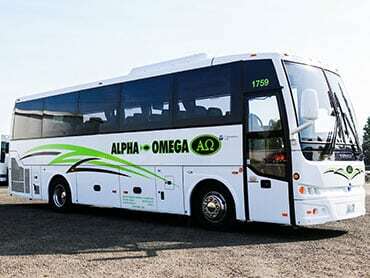 Alpha Omega provides more than a bus, we provide an experience. on-time trip and provide an enjoyable ride. Focus on your group and your event. Leave the transportation to us. Since 1993, we’ve been a locally owned and operated family company. We have decades of experience serving the Pacific Northwest, and our commitment has always been to safety and service. This commitment shows: We have the highest rating in the nation with the Federal Motor Carrier Safety Administration. We provide your group a personalized experience, from a driver that will cheer for your team at the game to vehicles that are the right size for your budget. We offer more than transportation, we provide an experience. Take the worry out of group travel. 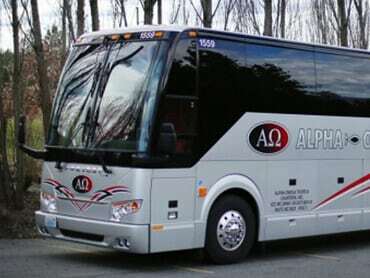 Alpha Omega Tours and Charters provides safe, reliable, and enjoyable transportation. We serve a wide variety of groups: weddings, churches, athletic teams, schools, and business charters. 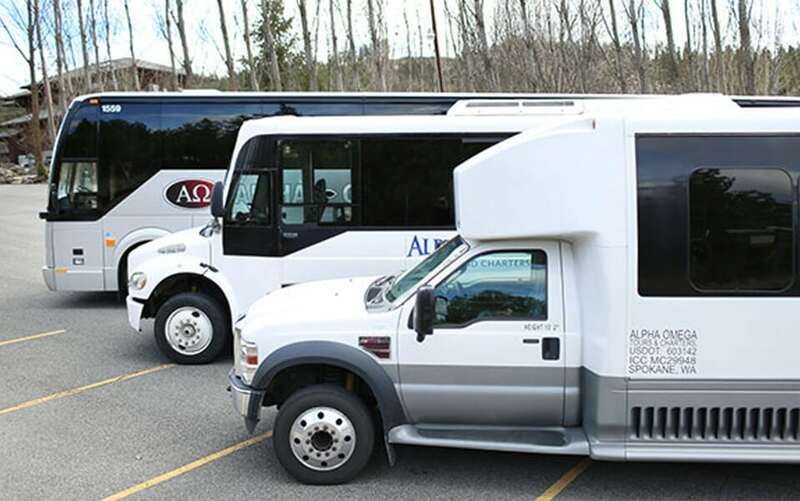 Our 17-vehicle fleet is fully equipped to provide the best possible experience for your group. Let us take care of your transportation so that you can focus on the destination.